Attention fitness junkies! Sure, we’ve all seen yoga pant donning Angelenos shop the racks in sporty kicks, but you likely haven’t seen them quite like this. 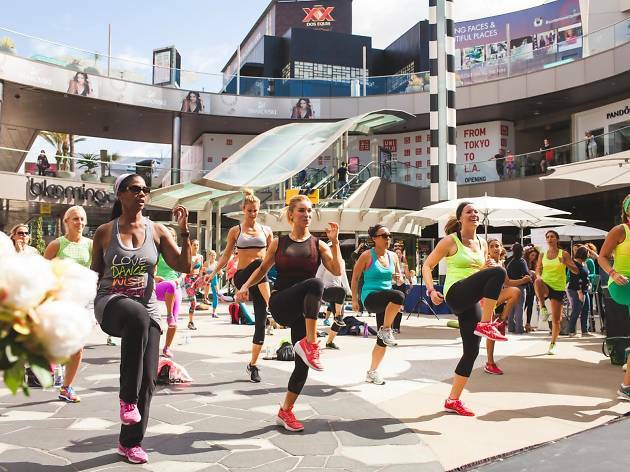 Active wear brand Lorna Jane is curating a major carb-crunching workout with Barry’s Bootcamp trainer to the stars Allie Cohen—and it’s taking place right smack in the middle of Santa Monica Place (think flash mob, but workout style). 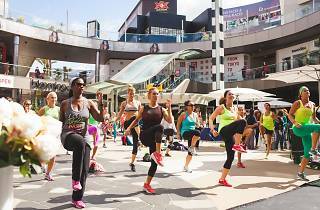 Venture to the outdoor mall for free, high-intensity fitness, while throwing back energy-boosting mocktails from Zico and Superfood bites from Kye’s. Be one of the first 10 to shop active wear garb and you’ll receive an exclusive takeaway from Me! Bath, Zico, and Lorna Jane.